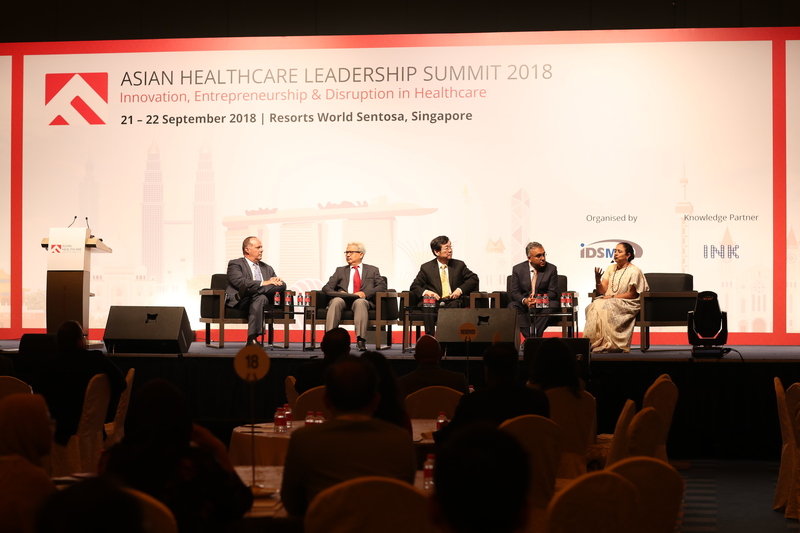 The Asian Healthcare Leadership Summit (AHLS) 2018 was held from 21 to 22 September at Resorts World Sentosa Singapore. Organised by the idsMED Group, the Summit is Asia’s premier thought leadership, experiential and networking healthcare event. 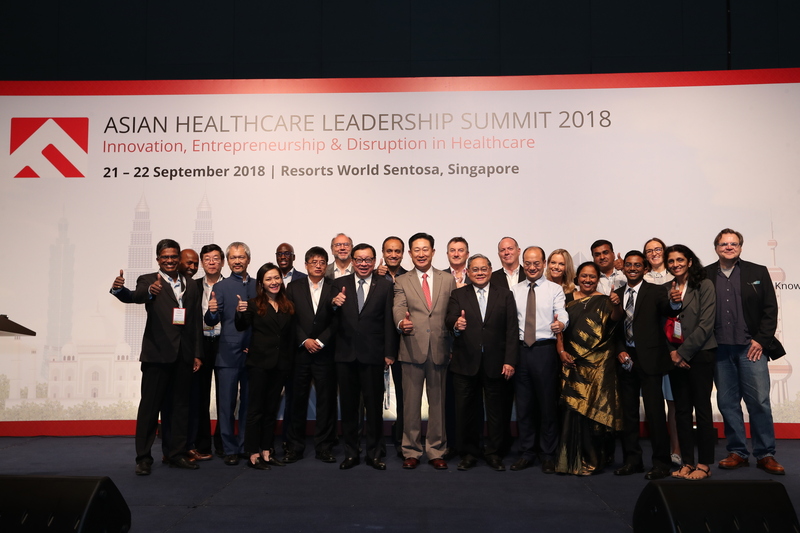 Themed “Innovation, Entrepreneurship & Disruption in Healthcare,” the Summit is now in its third edition, following the success of the preceding summits of 2015 and 2016. 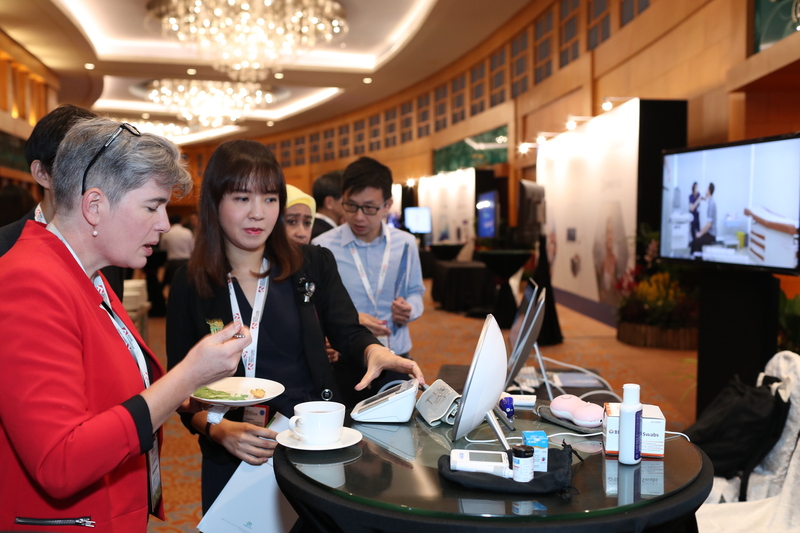 The Summit aims to bring together leading practitioners, professionals, entrepreneurs, academia and thought leaders in the healthcare industry to network and engage in a dialogue to discuss, deliberate, share and address key challenges and opportunities in the next era of healthcare in Asia, with a global perspective. 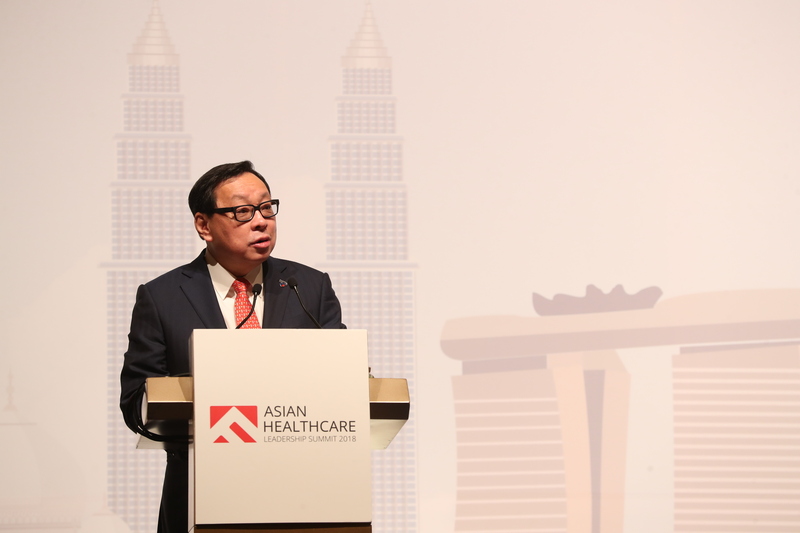 New and significant demands are being made on the healthcare infrastructure of Asian countries, with the continent expected to be home to 50% of the world population by 2050. The adverse shift in demographics that governments everywhere are facing has created new sets of challenges and opportunities. 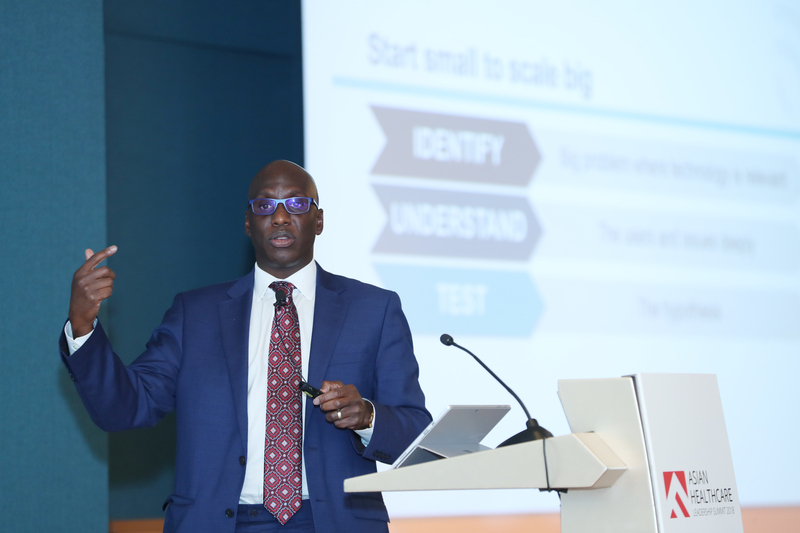 Governments are trying their utmost to keep pace with rising costs and the new demands of an increasingly affluent population expecting better, cheaper and more responsive healthcare. A unique feature of this year’s event were the dedicated Entrepreneurship & Innovation Tracks that featured 12 successful entrepreneurs who are tackling world-scale problems facing healthcare today. Held in a break-out fashion with smaller groups, these tracks were an excellent opportunity to learn about their journey and success stories. 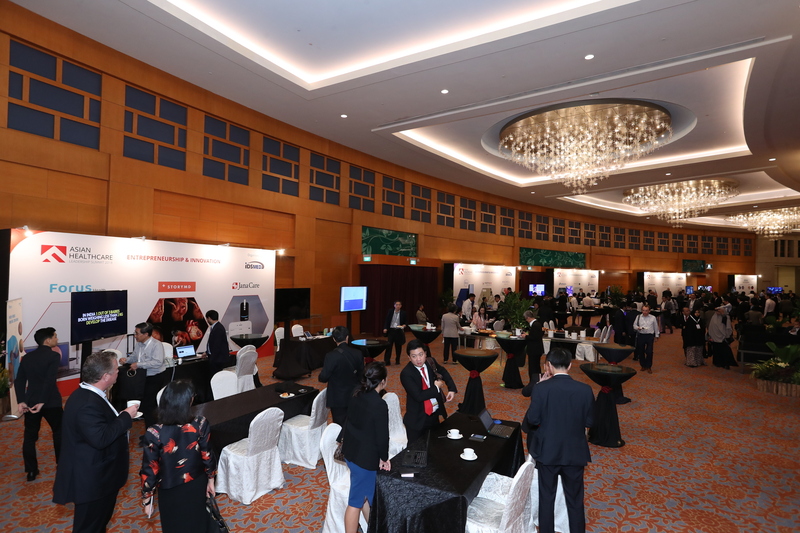 The Asian Healthcare Leadership Summit was majorly sponsored by the Victor and William Fung Foundation and organised by IDS Medical Systems Group (idsMED) with the support of its knowledge partner, INK. 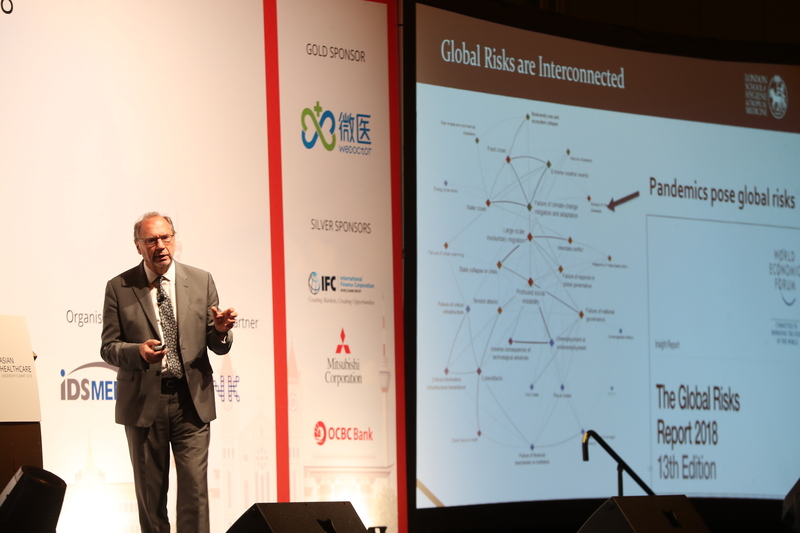 Other sponsors include WeDoctor China, International Finance Corporation (IFC), Oversea-Chinese Banking Corporation (OCBC), and Mitsubishi Corporation. 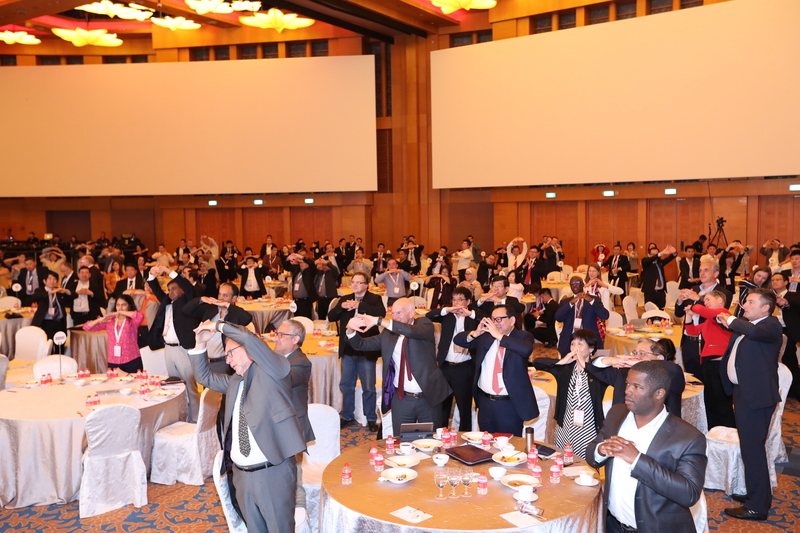 The event was attended by more than 500 worldwide participants from the industry including leading medical practitioners, policy makers, business leaders, entrepreneurs, academics and thought leaders from across the globe. 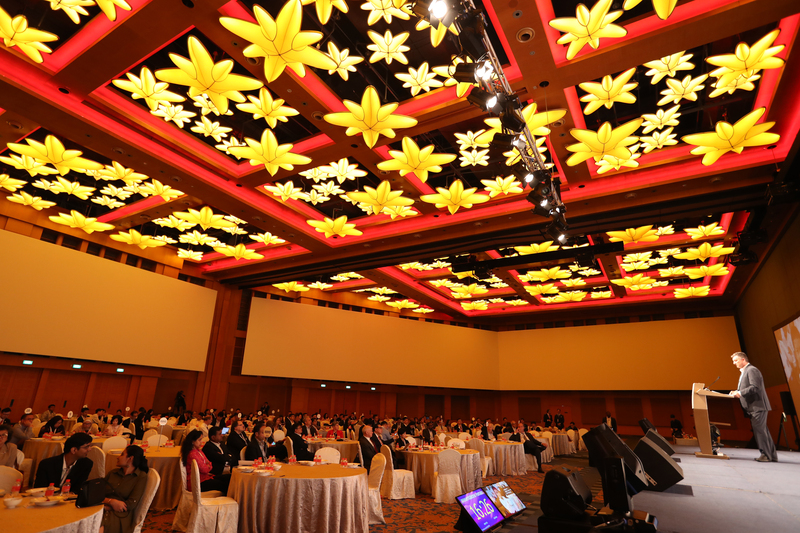 For more details on the Event and Programme, please refer to the official Summit website at www.ahlsummit.com. You may download the conference proceedings by clicking the Download Here button. Additionally, you could enjoy the Speech Videos available through the links below. Presentations for few of the speakers are not available for viewing or downloading. Ms. Lakshmi Pratury is founder and CEO of INK. INK is known for events like the INK Conference, INK Asia, INK Salons and impact-oriented programs like the INK Fellows and INK Makers. In 2009, she co-hosted TEDIndia in Mysore alongside Chris Anderson, the curator of the RED conference. Prior to INK and TED, Lakshmi spent over two decades in the US in leading roles in the technology (Intel), venture capital (Global Catalyst Partners), and non-profit organization (American India Foundation). Mr. Ben Chang is the Group CEO and Founding Partner of the idsMED Group. 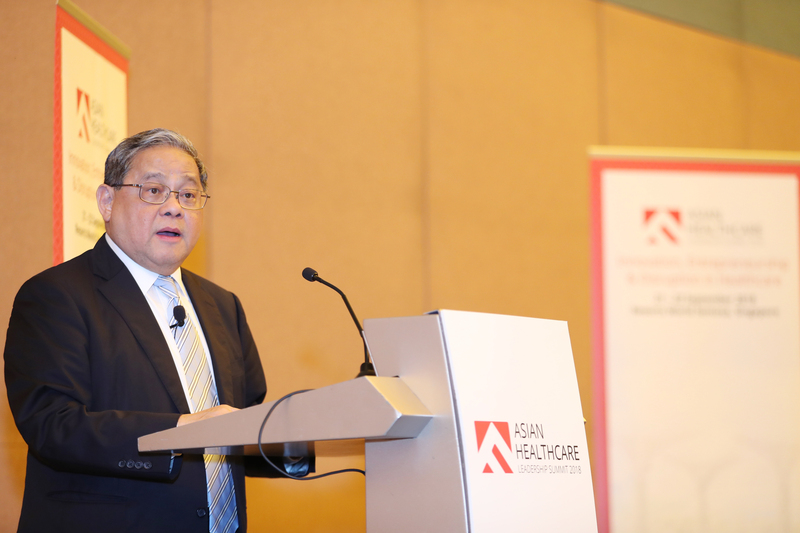 He is also Executive Director of Fung Holdings (1937) Limited and a Director of public-listed Convenience Retail Asia Limited, both members of the Fung Group. Prior to his tenure with the Fung Group, Mr. Chang was Senior Vice President and Partner of the Havi Group LP. Mr. Chang spent 13 years with Havi and was responsible for growing Havi’s Asian businesses which provided end-to-end Supply Chain Services to McDonald’s Asia Pacific. Mr. Chang also founded and successfully grew Domino’s Pizza Malaysia between 1997 and 2007. 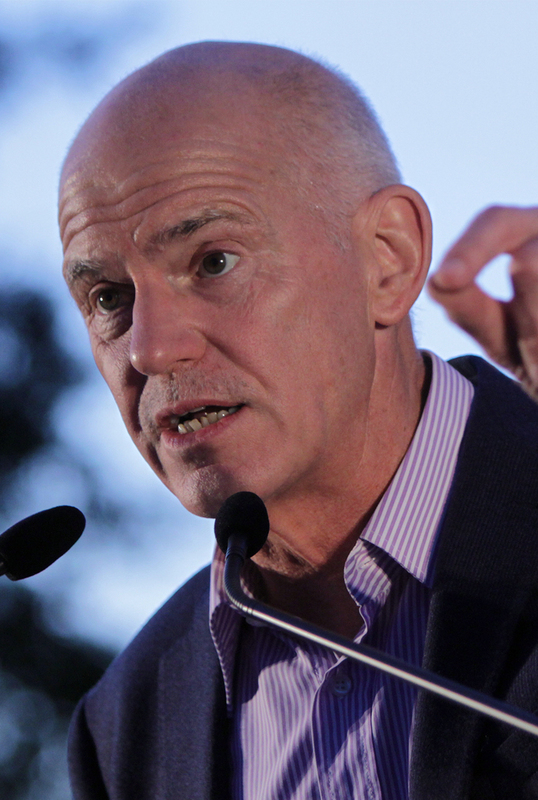 Mr. George A. Papandreou served as Greece’s Prime minister on the outbreak of the Greek financial crisis, managing to avoid his country’s bankruptcy, whilst applying a series of structural reforms for modernizing his country. In 2010 he was awarded Germany’s Quadriga Award in the category “Power of Veracity”, for his achievements related to government Transparency. For his efforts to reform Greece, he was named one of the Foreign Policy magazine’s TOP 100 Global Thinkers in 2010. Currently he is the President of the Socialist International (SI). 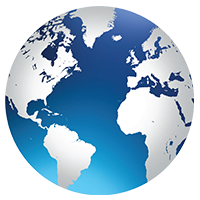 The SI has a consultative status - Category I - with the United Nations. He is also the co-chair of the Democratic Alignment, a coalition of the center left parties in Greece, composed by the Panhellenic Socialist Movement (PASOK), the Democratic Left (DIMAR) and the Movement of Democratic Socialists. Dr. Ashish Jha, MD, MPH, is the Senior Associate Dean for Research Translation and Global Strategy and K.T. Li Professor of Global Health at the Harvard T.H. 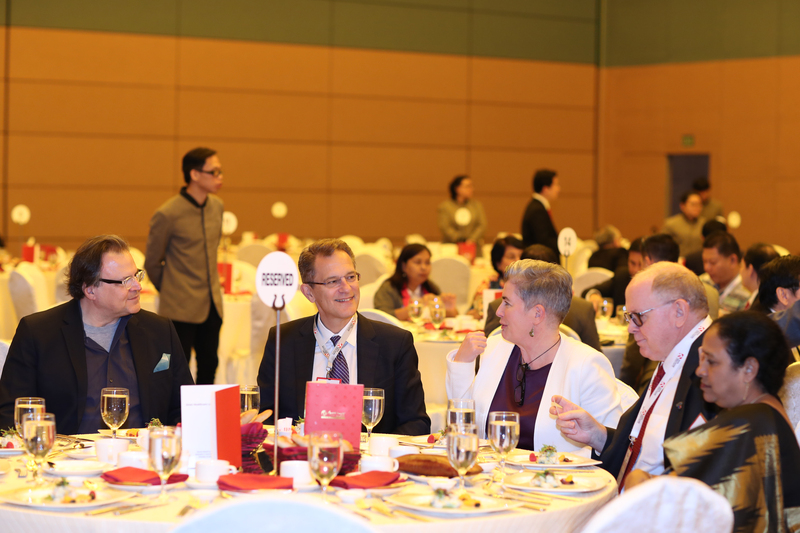 Chan School of Public Health and the Director of the Harvard Global Health Institute. He is also a practicing General Internist at the VA Boston Healthcare System and Professor of Medicine at Harvard Medical School. Dr. Chunharas is presently, the president of National Health Foundation, a Thai NGO, working on knowledge-based health policy and system development. He graduated in 1977 with a degree in medicine from Mahidol University Thailand and became Board Certified in preventive medicine with a Masters Degree in Public Health from The Royal Tropical Institute, Netherland. He has extensive work experiences from being a physician and director in community hospitals in rural Thailand to international health and from health planning to being Deputy Minister of Health. Prof. Dr. Laksono Trisnantoro is a Professor in Health Policy and Administration and Head of newly established Department of Health Policy and Management at Faculty of Medicine Universitas Gadjah Mada, Indonesia. He is currently the Chief Editor of Indonesian Journal of Indonesian Health Policy and has served as consultant for Minister of Health and local government for many years. Title: Healthcare in China by the Numbers: Opportunity or Obligation? Mr. John Petrovich is the President and CEO of The Alfred Mann Foundation for Scientific Research (AMF), a non-profit organization founded by the healthcare legend, Alfred E Mann. AMF was established in 1985 with the mission to bring advanced technologies to patients with unmet or poorly met medical needs. Mr. Petrovich has been the co-founder, President and CEO of two startup pharmaceutical companies, Calando Pharmaceuticals and Insert Therapeutics, where he successfully completed two licensing collaborations and raised four rounds of venture capital. Title: 100 years after the Spanish Flu: Are we ready for the next epidemic? 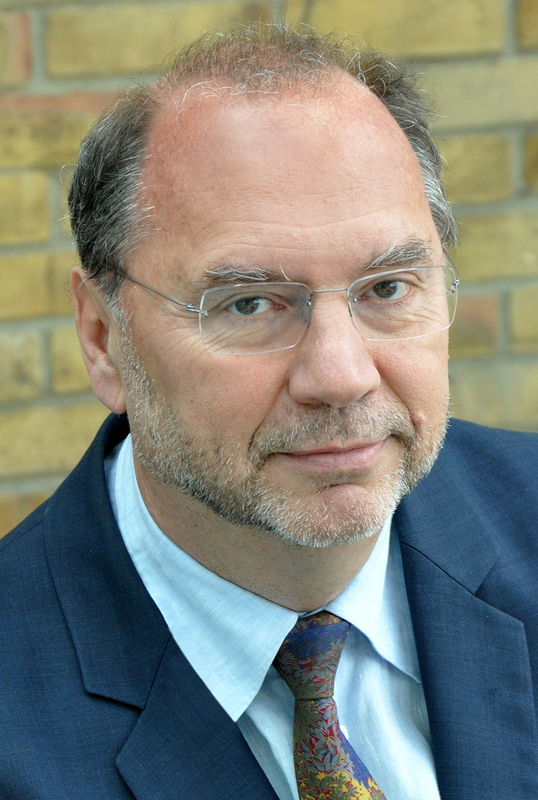 Dr. Peter Piot, MD, PhD is the Director of the London School of Hygiene & Tropical Medicine, and the Handa Professor of Global Health. He was the founding Executive Director of UNAIDS and Under Secretary-General of the United Nations (1995-2008). He is the Chair of the HMG Strategic Coherence of ODA Funded Research Board. 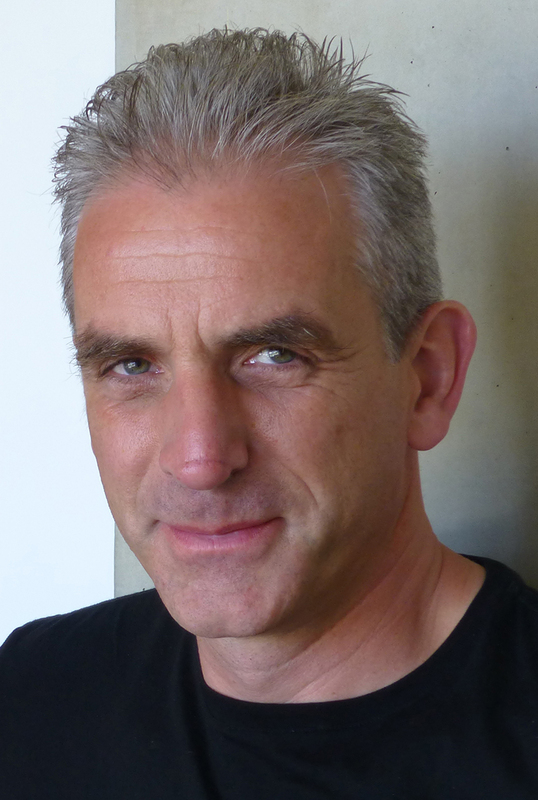 Mr. Marc Koska OBE is the inventor of the K1 Auto-Disable syringe, the founder of Safepoint Trust (a UK-registered charity) and a highly regarded advocate around the world for needle safety in both immunisation and therapeutic sectors. More recently, he has been working on The ApiJect System – which is a step into the future for vaccine packaging and delivery. ApiJect are new devices, which do deliver injections, but are better in many ways ranging from manufacturing costs to range of delivery to environmental benefits. Mr. Kevin Caldwell is Co-Founder & CEO of Ossium Health, where he leads the team that is building the world’s first bank of life saving, on-demand bone marrow stem cells for transplant. This new source of bone marrow will enable immunosuppresion-free organ transplants, improved blood cancer therapies, rapid response radiation injury treatment and other novel uses. Mr. Gurpreet ‘Sunny’ Singh became a major industry disruptor by building RoundGlass, a global firm dedicated to accelerating the future of digital health and wellness solutions and improving the lives of people. A socially-conscious global firm, RoundGlass spurs innovation and disruption in digital health and wellness. The organization’s core mission is to build a vibrant ecosystem of innovation through investment, knowledge sharing and technology. It also funds and mentors the entrepreneurs who are driving the future of digital health. Mr. Singh is also the founder of Edifecs, an industry leader that provides a comprehensive set of integrated solutions for the global healthcare ecosystem. 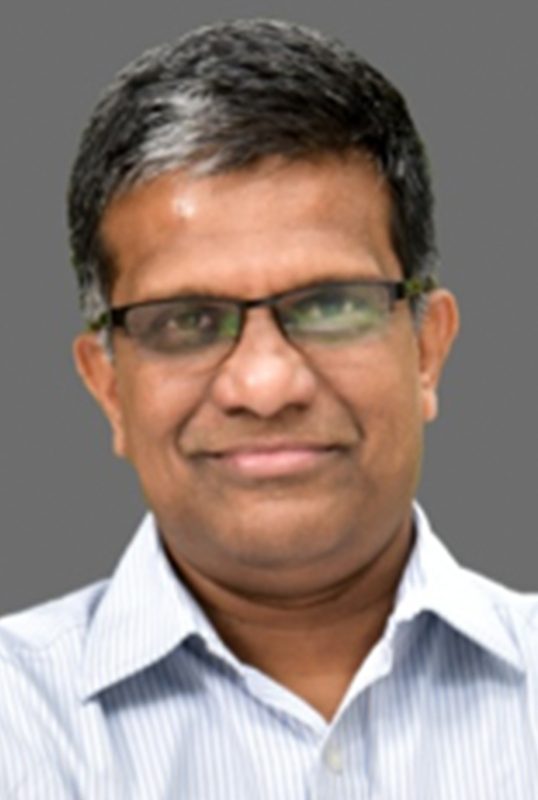 Mr. K. Chandrasekhar (KC) is the Founder & CEO of Forum Health Pvt. Ltd. Focus Health is working on the mission of eradicating preventable blindness using technology. Prior to founding Forum Health, KC was the Director of Strategy & Software Partnerships at NXP (Philips) Semiconductors. Mr. Alexander Tsiaras is the Founder, CEO of StoryMD – a platform/ecosystem that interprets, stores and explains each individual health status and facilitates every user’s ability to visually understand the story of their body, while dynamically explaining, managing, tracking and planning their optimal well-being. 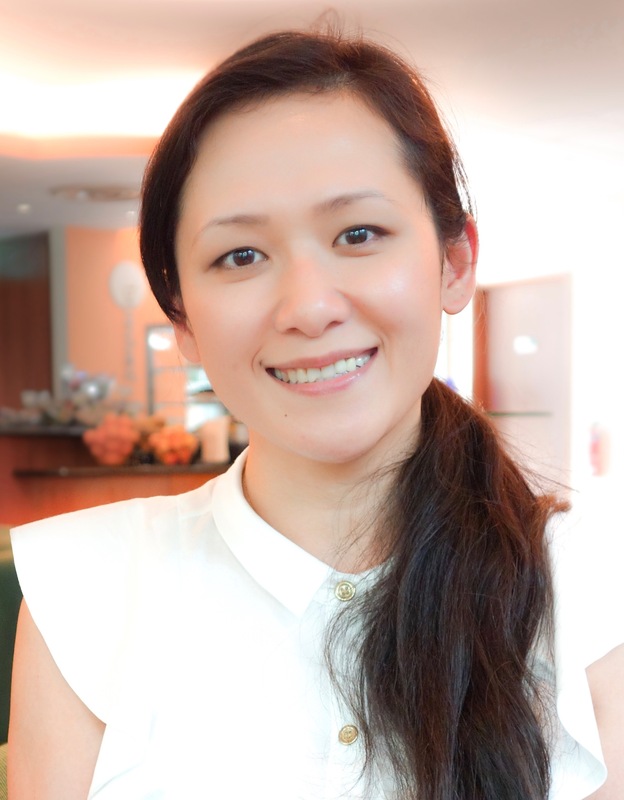 Ms. Veronica Chew is the Chief Marketing Officer at Jana Care, a mobile diagnostic healthcare company, where she leads product development, marketing and business development. Prior to Jana Care, she co-founded Healing in 2013, a digital health startup focusing on neurological conditions. 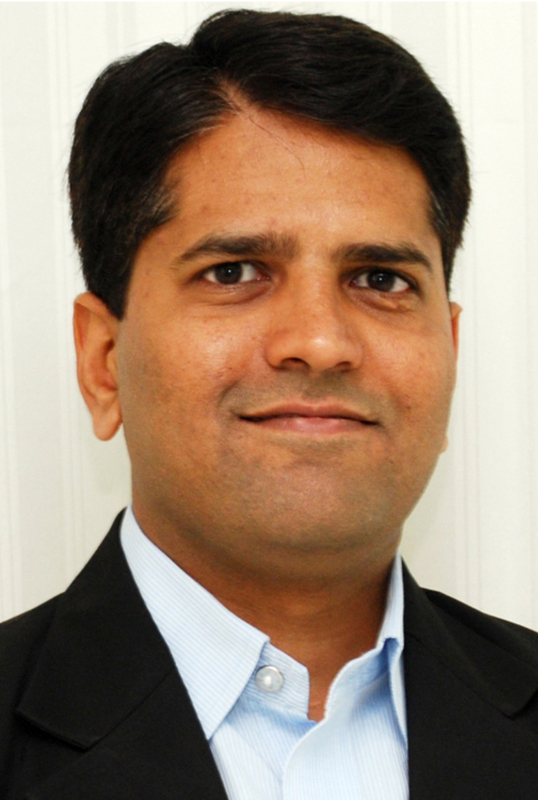 Mr. Vikram Vuppala is Founder & CEO of India’s largest dialysis network – NephroPlus. After spending 10 years in the US healthcare industry, his passion to redefine healthcare delivery in India prompted him to found NephroPlus in 2010. He has expanded NephroPlus to India’s largest dialysis network of 140 centers in 85 cities across 18 states. NephroPlus has rapidly grown under Mr. Vuppala’s leadership to become the 8th largest dialysis network in the world in just 8 years. 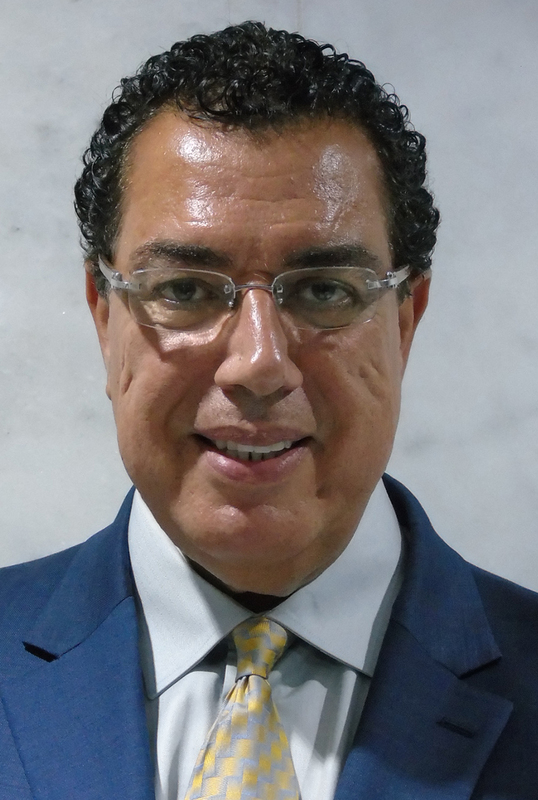 Dr. Ayman Salem is the inventor of the ikioo®Smart System (USA patented and trademarked software and hardware) and is the CEO and Founder of ikioo® Technologies, Inc. located in Burbank, CA. ikioo is leading the way to a shift from a “disease-centric” to a “health-centric” healthcare system through its on-the-go intelligent personal health companion powered by Artificial Intelligence platform. Dr Salem is a board certified neurosurgeon. Dr. Thilo Hoelscher is Co-Founder, CEO and CMO of BURL Concepts, Inc., a San Diego-based medical device start-up that manufactures portable ultrasound device to detect strokes in the field. In 2012, he filed a patent application describing a portable, battery-powered ultrasound device for prehospital stroke detection and co-founded BURL Concepts based on this patent. He is a board certified neurologist and former Professor of Neurology and Radiology at the University of California, San Diego, and the University of Regensburg, Germany. 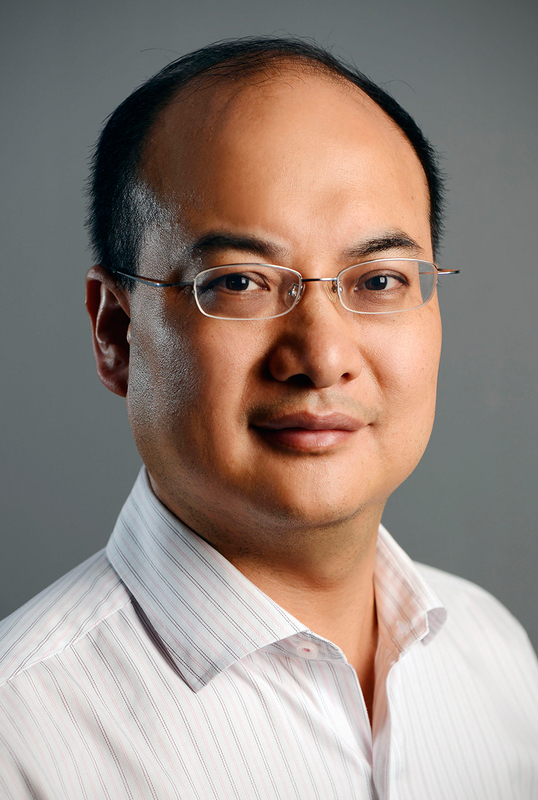 Dr. Wei Zhou is Founder, President and CEO of Centrillion Technologies. Centrillion provides top-of-the-line molecular and genomics services including next generation sequencing, droplet digital PCR, and bioinformatics. Prior to founding Centrillion, Dr Zhou was a partner at the technology law firm Wilson Sensing Goodrich & Rosati where he advised life sciences, clean tech and digital media companies and venture capital investors. 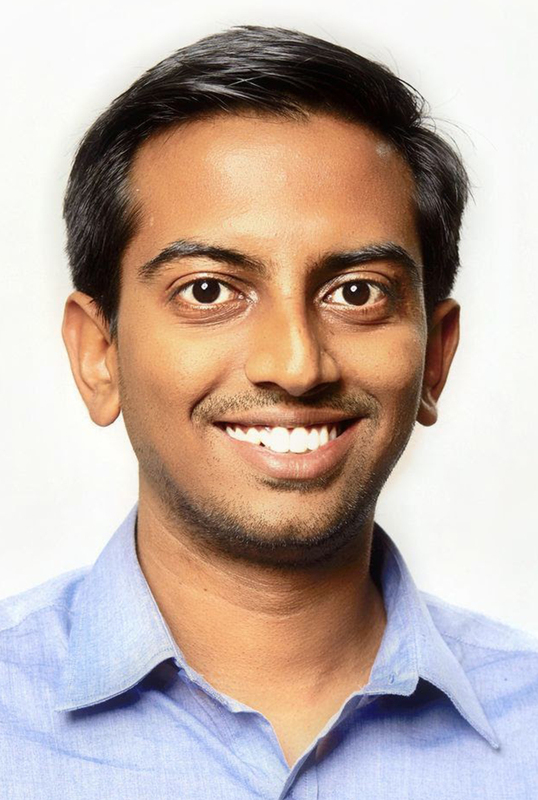 Mr. Pavan Kumar is Co-Founder and CTO of Cocoon Cam, a Silicon Valley-based technology company using computer vision and AI for remote non-contact health monitoring. He leads the product and engineering teams for the company, driving ongoing innovation in computer vision, vital signs monitoring, and sophisticated analytics. Ms. Alexandra Eavis is a serial tech4good entrepreneur. She is the founder and CEO of Dovetail Lab, a software company developing a blockchain platform to give patients control of their data and pioneer better information sharing in healthcare. 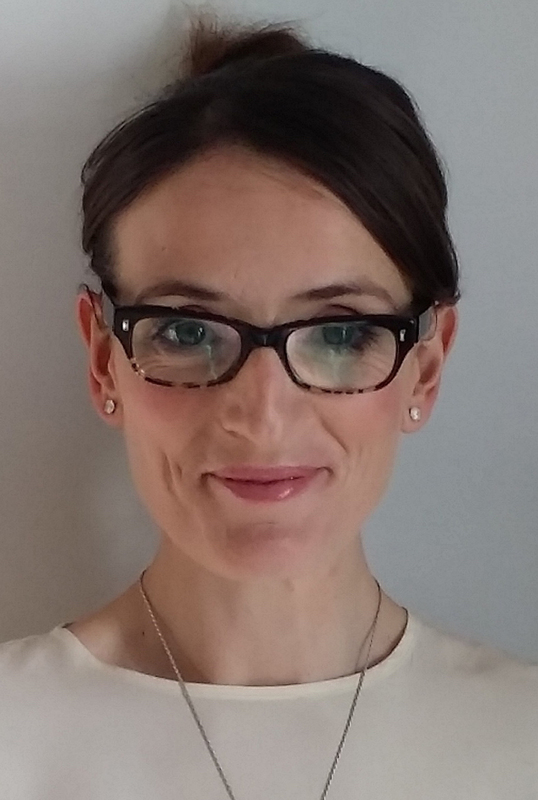 Ms. Eavis is also a director and co-founder of How Do I?, a social enterprize spun out of an outstanding special educational needs school, which uses accessible NFC technology in its vocational learning technology. 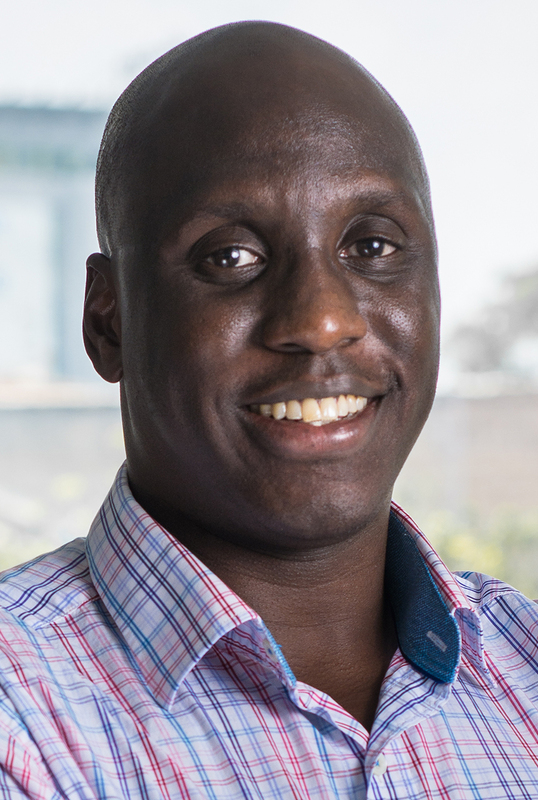 Mr. Kaalpema Yelpaala (KP), is the Founder and CEO of access.mobile, an intelligent mobile engagement platform that improves patient care while reducing costs for healthcare organizations. Prior to founding access.mobile in 2011, he worked at Dalberg Global Development Advisors and served as one of the early employees of the Clinton Health Access Initiative. 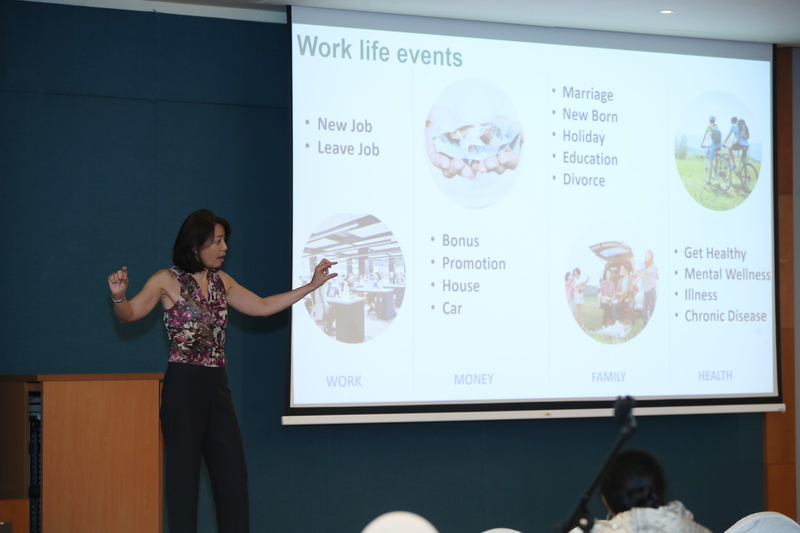 Ms. Rosaline Chow Koo is Founder & CEO of CXA Group, bringing evidence-based wellness into the workplace to improve employee health and control healthcare costs. Since launching 4 years ago, CXA has acquired Singapore’s largest broker, won 550 corporate clients and awards in HR, healthcare, insurance and entrepreneurship. Now CXA is valued at $100M after raising $33M to expand across Asia. 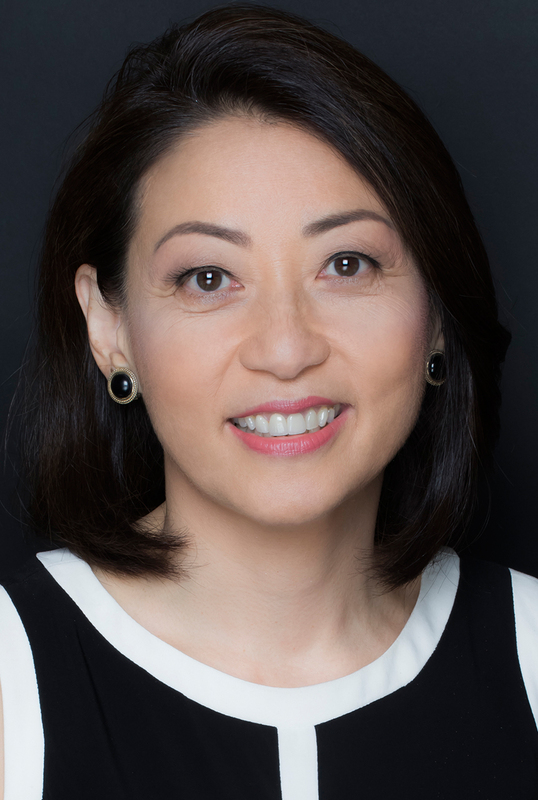 As the APAC Leader of Mercer Marsh Benefits, Ms. Chow Koo had grown the 14 APAC countries 800% over 8 years. 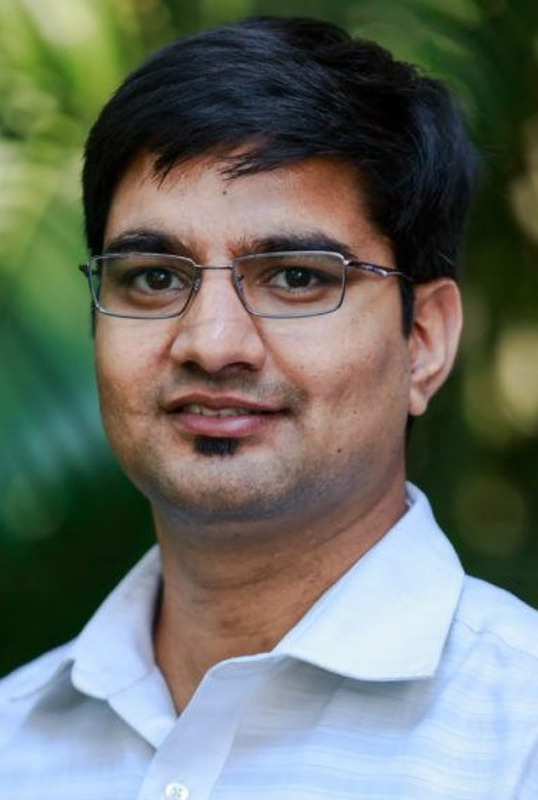 Mr. Nitesh Jangir is Co-Founder of Coeo Labs, an Indian medical device company solving unmet clinical needs in the field of emergency and critical care. He has 9 filed granted patents on his name. Prior to starting Coeo Labs, Mr. Jangir was doing research in the field of defence and industrial automation. Mr. Jerry Liao is the CEO and founder of WeDoctor Group (formerly Guahao.com), a leading healthcare solutions platform using technology and Artificial Intelligence to provide quality and accessible healthcare services for everyone. WeDoctor has three core business including technology enabled healthcare solutions platform, offline healthcare services and healthcare financial services. As of today, WeDoctor has connected over 2,400 hospitals, more than 120 million platform users and over 220,000 doctors across China. 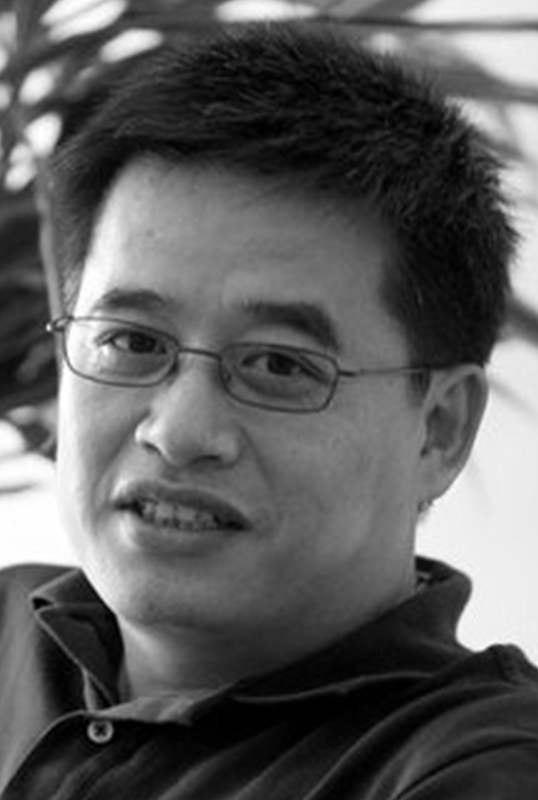 Before founding WeDoctor, Mr. Liao served as head of the Intelligent Computer Technology Commercialization Base (National 863 Program) for a long time and was one of the early founders of iFlytek Co., an A-share listed company with market value over RMB 90 billion and holds several invention patents on intelligent voice recognition technology. 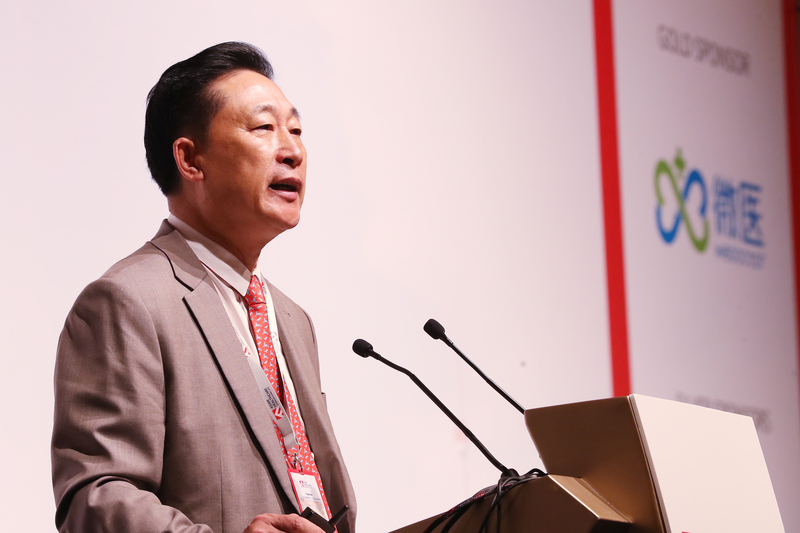 Prof. Han Demin is the Chairman of China International Exchange and Promotive Association for Medical and Healthcare. He serves as the head of otolaryngology-head and neck surgery department at Beijing Tongren Hospital, Capital Medical University and is the Dean of Otolaryngology School, Capital Medical University. He is also a Director of Collaborating Center for Prevention of Deafness and Hearing Impairment of the World Health Organization, President of the World Chinese Society of Otolaryngology-Head and Neck Surgery, Honorary Chairman of Otolaryngology-Head and Neck Surgery Branch under Chinese Medical Association, Chairman of the Otolaryngology-Head and Neck Surgeons Branch under Chinese Medical Doctor Association. Robert C. Green, MD, MPH is a medical geneticist and physician-scientist who directs the G2P Research Program (genomes2people.org) in translational genomics and health outcomes as Professor of Medicine in the Division of Genetics at Brigham and Women’s Hospital, the Broad Institute and Harvard Medical School. Originally trained as a neurologist and epidemiologist, he contributed for over a decade to the clinical characterization, treatment trial methodology and risk refinement for Alzheimer’s disease. After re-training as a medical geneticist, he conducts empirical research on the medical, behavioral and economic outcomes around the implementation of genomic medicine. 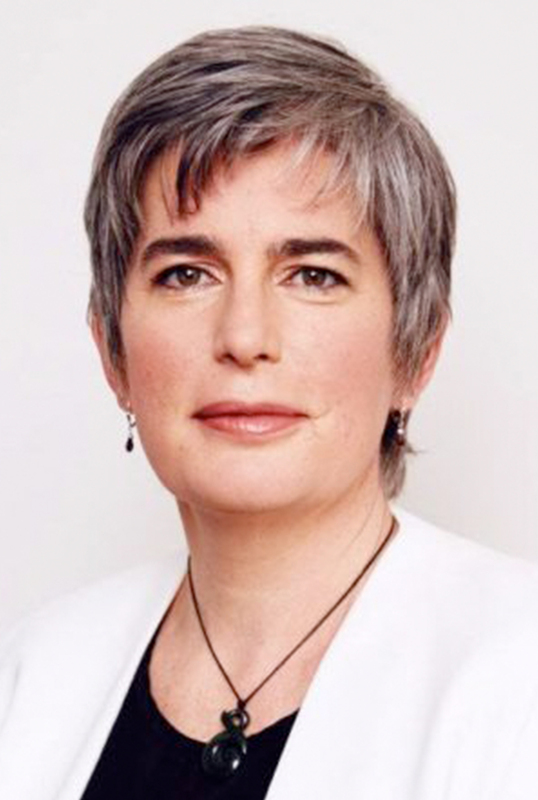 Dr. Catherine Mohr is a HealthTech executive with over 20 years of experience in the areas of strategy, research, product development, and organizational change. 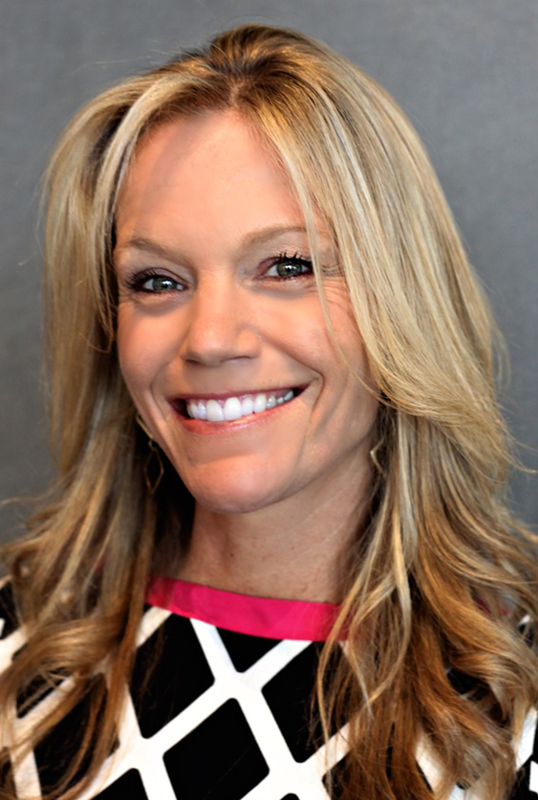 She is currently the Vice President of Strategy at Intuitive Surgical, a high technology surgical robotics company that makes the da Vinci Surgical System. In addition, she is on Faculty at Singularity University which studies the impact of exponentially changing technologies on our society. Dr. Mohr has served as a scientific advisor for several startup companies in Silicon Valley, the NCI SBIR program, and government technology development programs in her native New Zealand, and entrepreneurship programs worldwide. She is the author of numerous scientific publications, the recipient of multiple design awards, and speaks regularly internationally on the subject of the future of surgery, technology and robotics. 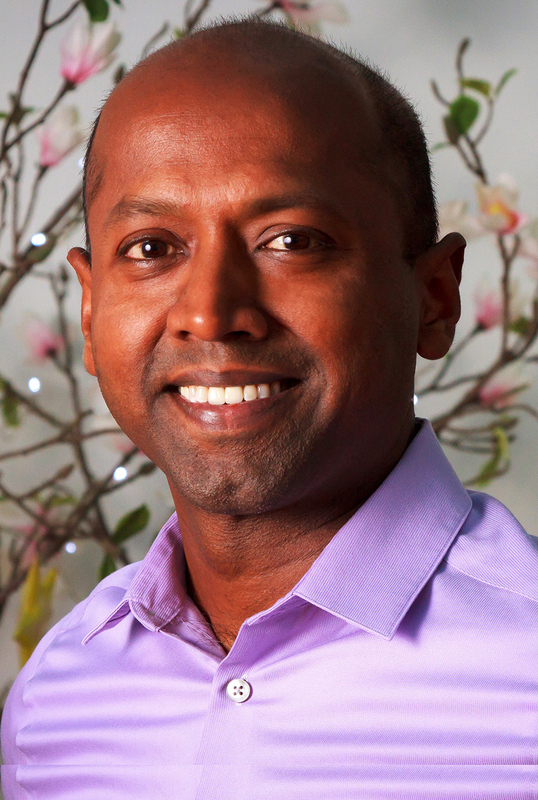 Mr. Navi Radjou is an innovation and leadership thinker and advisor in Silicon Valley. A Fellow at Cambridge University's Judge Business School, he has served on World Economic Forum's Global Future Council on Entrepreneurship and Innovation. Previously, he was a Vice President at Forrester Research in Boston and San Francisco. A TED Speaker, he won the 2013 Thinkers 50 Innovation Award. He is the co-author of Jugaad Innovation(2012), From Smart To Wise (2013) and Frugal Innovation (2015), published by The Economist. His next book, Conscious Society: Reinventing How We Consume, Work, Relate and Live, will be published in 2019. 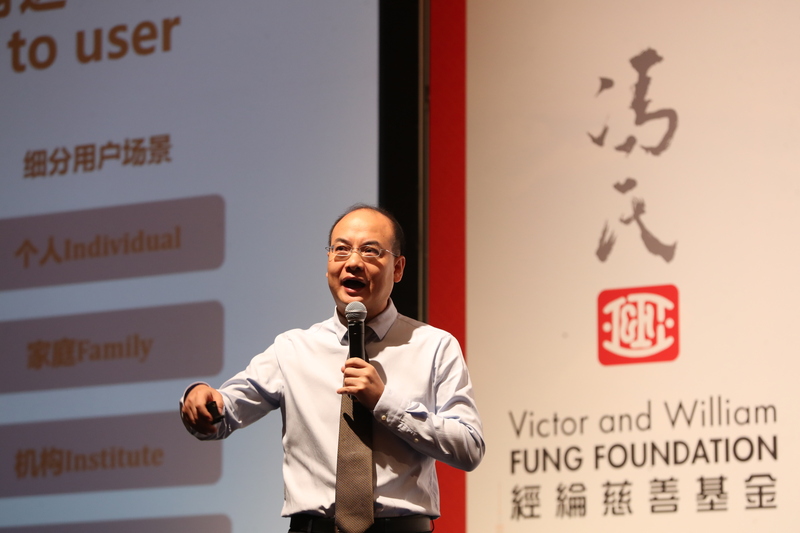 Dr. Victor K. Fung is an international business leader, thought leader and philanthropist, who holds professional and civic appointments in Hong Kong, the Chinese Mainland and overseas. 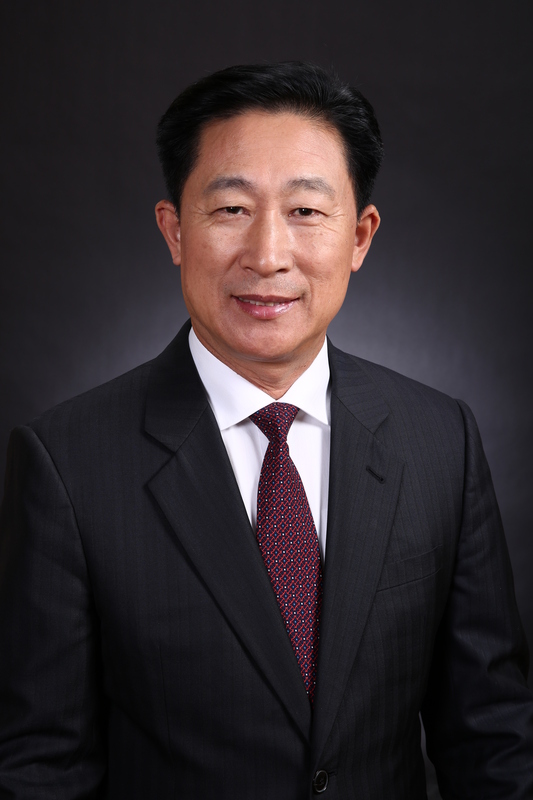 He is Group Chairman of the Fung Group, a Hong Kong-based multinational which comprises major subsidiaries in trading, logistics, distribution and retailing. 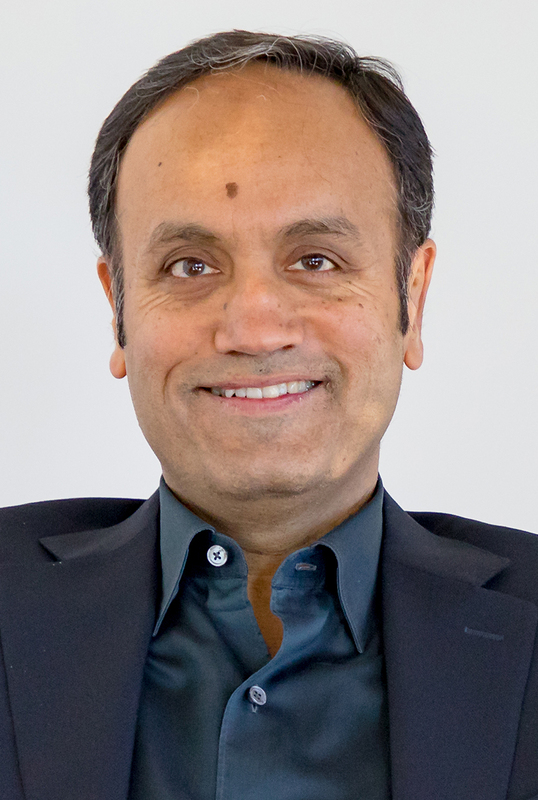 Dr. Suhas Kshirsagar is a world-renown Ayurvedic physician and educator, and is one of the most academically accomplished Ayurvedic physicians in US who has traveled worldwide popularizing Ayurvedic Medicine, setting up clinics, offering courses for both medical professional and laypersons, and has provided Ayurvedic consultations for thousands of patients. He is an internationally acclaimed motivational speaker and a visiting Professor at various Ayurvedic Schools & Universities, worldwide. He is an Adviser and Consultant for the Chopra Center, and is an experienced Clinician and an insightful Vedic Counselor who adds tremendous value to his clients and students alike. Ms. Robyn O’Brien is Founder of AllergyKids. Her focus is on restoring the health of American families in order to address the burden that disease in placing on our economy. All of her initiatives and work address the needs of the 1 in 3 American children that now has allergies, autism, ADHD and asthma and the growing number of American children with cancer. She leads a non-profit and an advisory firm and is a best-selling author, public speaker, strategist and mother of four. She brings insight and detailed analysis to her research on the health of the American food system as documented in her first book, The Unhealthy Truth, and has been called “food’s Erin Brockovich” by Bloomberg and the New York Times. Ms. O’Brien serves on the Board of Directors of Healthy Child Healthy World and other non-profit organizations. 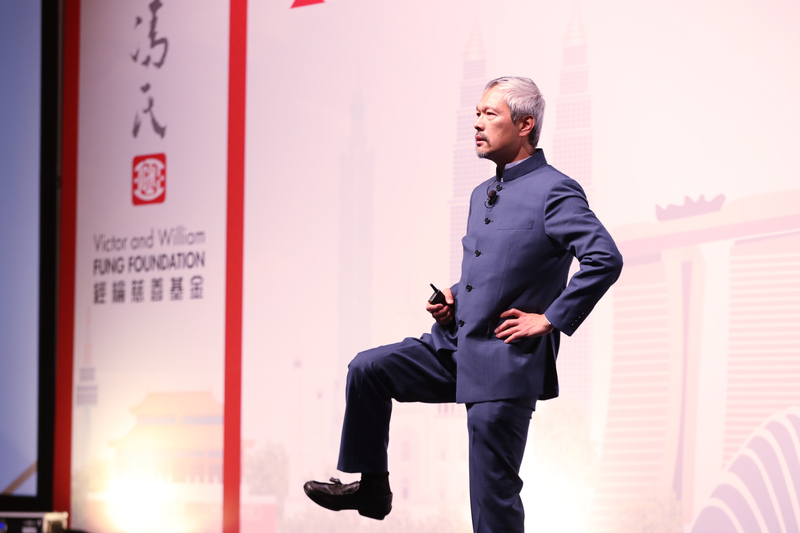 Dr. Mao Shing Ni is bestselling author, expert on longevity medicine, co-founder, past president and current chairman of the Board of Trustees of Yo San University. He was born and raised in a family medical tradition that has spanned 38 generations and maintains a full-time clinical practice with his team of associates at the Tao of Wellness with offices throughout southern California. Dr Mao was Recipient of the Acupuncturist of the Year award and The Best of the Best award on The Doctor Oz Show, and has appeared extensively in national media in his tireless efforts to further the recognition of acupuncture and Chinese medicine. 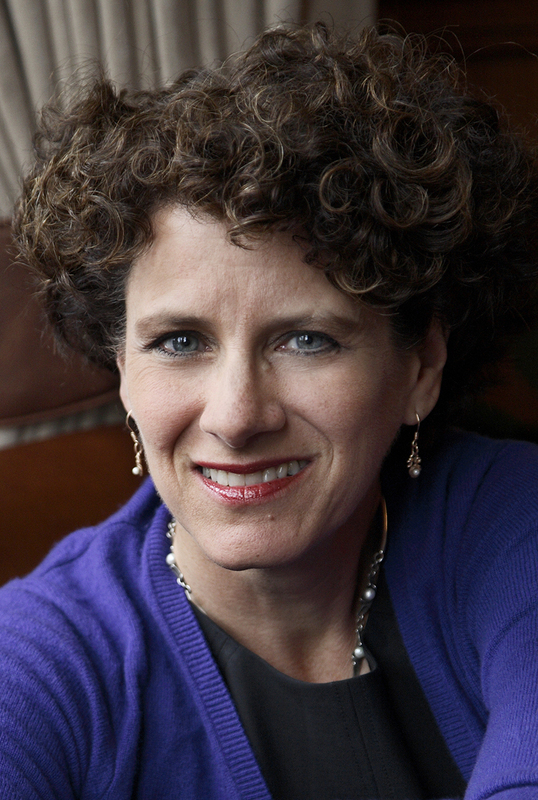 Psychologist and award-winning author Ms. Susan Pinker is a seasoned observer of modern communication and social contact. Whether writing on gender differences, as in The Sexual Paradox, or on why face-to-face contact should be a priority, as in The Village Effect, Ms. Pinker’s evidence-based insights help us improve the ways we work, play, and relate to each other. Ms. Pinker currently writes about fresh finds in behavioral science for The Wall Street Journal’s Mind and Matter column. She wrote The Business Brain and Problem Solving columns for The Globe and Mail, which applied the latest evidence from the fields of neuroscience, behavioral economics, and sports psychology to the world of business. Ms. Pinker spent over two decades in clinical practice and taught Educational Psychology at McGill University. Ms. Meena Ganesh is one of India’s foremost business leaders and most successful entrepreneurs with nearly three decades of experience in industries including healthcare, consulting, technology, outsourcing, education and e-commerce. As the MD & CEO, Ms. Ganesh heads Portea Medical (www.portea.com), India’s leading consumer healthcare brand that operates across four major segments: primary care, chronic disease management, elder care and post-operative care. Title: How is redefining healthy ageing going to redefine quality of life? Mr. Colin Milner is CEO of the International Council on Active Aging and founder of the active-aging industry in North America. 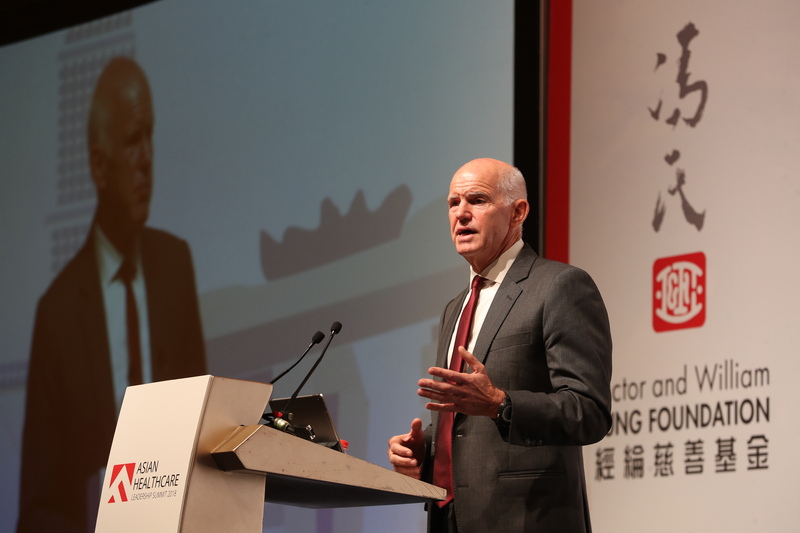 Mr. Milner is also a leading authority on the health and well-being of the older adult, and has been recognized by the World Economic Forum as one of "the most innovative and influential minds" in the world on aging-related topics. 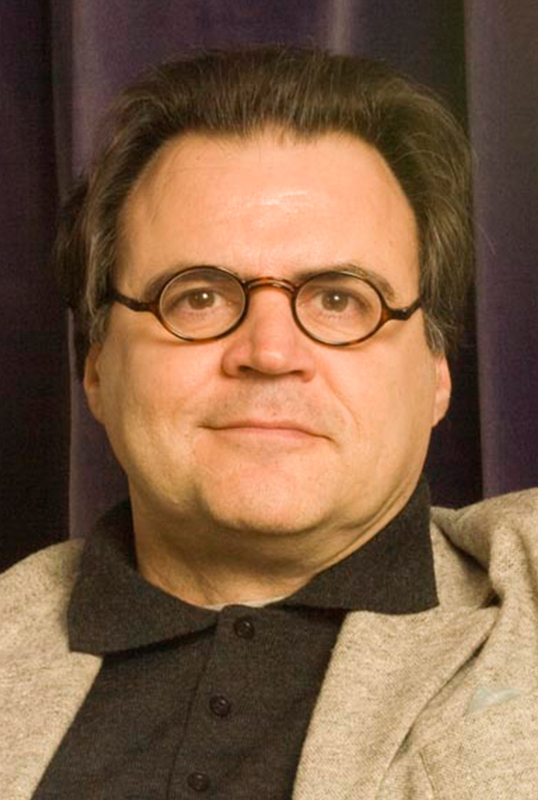 An award-winning writer, Mr. Milner has authored more than 300 articles. He has been published in such journals as Global Policy, and the Annual Review of Gerontology and Geriatrics. He also contributed a chapter to the World Economic Forum book Global Population Ageing: Peril or Promise?